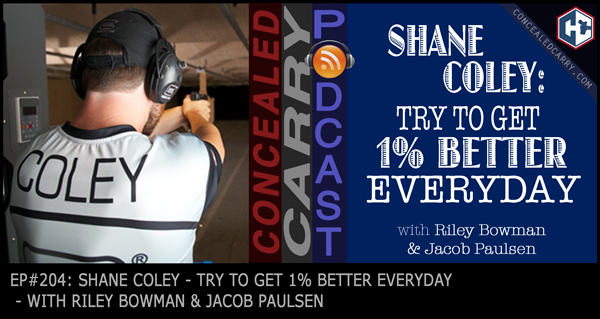 Today's episode of the Concealed Carry Podcast features an interview with Shane Coley, Glock Shooting Team Captain, 2017 USPSA Handgun National Champion, and all-around good dude. There's some seriously great advice in this interview that we're confident will help you with handgun mastery. But at the core of it, Shane encourages us all to try to get just 1% better each day, and eventually it will pay off in a big way–on the competition stage or on the street. Enjoy! PLAY above to listen to this mic-dropping interview! GLOCK – www.glock.com – Glock was wonderful inviting us into their booth at SHOT Show 2018 to conduct a number of fantastic interviews, please show them your support! !